Stanley Sporkin has been retained by the Office of Federal Housing Enterprise Oversight (OFHEO) to assist in its duties overseeing Fannie Mae -- one of the largest issuers of mortgage backed securities and related derivatives in the world. Why should we care? All Americans are impacted by the health and well being of Fannie Mae's operation - as homeowner, as investor and as taxpayers. The entire US mortgage market is currently dependent on several private corporations that enjoy special governmental credit support (called Government Sponsored Enterprises or GSEs). Because of their size, the value of our homes may decrease if a GSE becomes troubled. Many pension funds, mutual funds and money market funds include Fannie Mae securities. Hence, the retirement savings of many Americans and global citizens, as well as the resources of global financial institutions, are now vested in Fannie Mae's well being. If government resources are called upon to forestall or support Fannie Mae in a bankruptcy or reorganization, our tax dollars and taxpayer-backed government credit could be diverted to fund Fannie Mae's liabilities and to subsidize the US mortgage markets. If one GSE is troubled, it could impact the viability and health of the others, including Freddie Mac and the Federal Home Loan Bank System, as well as Ginnie Mae, a governmental corporation at the Department of Housing and Urban Development (HUD). The following questions, organized around Judge Sporkin's historical areas of responsibility, are intended to illuminate the background and experience that Judge Sporkin brings to the task of assisting the Bush Administration in the oversight and regulation of Fannie Mae. This information should be useful to investors in US mortgage securities who are assessing credit ratings and pricings of Fannie Mae, Freddie Mac, FHFB, Ginnie Mae and other related mortgage and homebuilding stocks, bonds and derivatives or the investment, mutual funds, pension funds and money market funds that hold them. These questions have been sent to Judge Sporkin. We will post any response we receive. Question #1: Are you under investigation by the Department of Justice? On November 1, 2003, the Washington Post reported that the Department of Justice's Office of Professional Responsibility had opened an investigation into your alleged misconduct along with a group of attorneys at the Central Intelligence Agency (CIA) and Department of Justice (DOJ) involved in the prosecution of a former CIA officer, Ed Wilson. This investigation was inspired by a ruling in the Wilson case in which the Judge ruled that government lawyers, including you, "knowingly used false evidence" in Mr. Wilson's trial and appeal. Question #2: What are your potential conflicts of interest? Are there any conflicts of interest created by DOJ's investigation into your alleged misconduct in connection with the Wilson case, and your role on behalf of the Administration in overseeing Fannie Mae, given the DOJ and Securities & Exchange Commission (SEC) investigations of Fannie Mae? You are a partner of Weil, Gotshal & Manges, a law firm noted for its expertise in corporate bankruptcy. Given Weil's corporate client base – including as lead bankruptcy counsel for Enron – what are the potential conflicts of interest involved in your role helping to regulate Fannie Mae, a large private corporation? What are the potential profits of your firm and its network of serving as a lead counsel in a Fannie Mae bankruptcy? Question #3: Does the math of the mortgage bubble work? How many homes are there in America? What is their appraised value? What is the number of outstanding mortgages in America and what is their outstanding principal value? What is the basis of allegations that there are more mortgages outstanding in the mortgage markets than there are homes? What is the total value of outstanding mortgage backed securities and tax-exempt municipal housing bonds related to American homes and mortgages? What is the basis of the allegations that outstanding securities are greater in value by a significant amount than the US residential housing stock that secures them? What is the total principal amount of outstanding derivatives related to these mortgages and homes ? Does the algebra work here or something fraudulent going on? Does increasingly centralized control of the appraisal industry have something to do with current valuations? Is there merit to the allegations that the Bush Administration and Judge Sporkin are tightening oversight of Fannie to avoid Congressional investigations that might unravel the continuing financing and refinancing of sizeable mortgage securities frauds from the 1980s and 1990s? What will happen to the value of American homes and Fannie Mae, Freddie Mac, Federal Home Loan Bank System and Ginnie Mae securities as a significant number of American jobs are transferred abroad with the help and support of U. S. government policy? What could a rise in interest rates to do these various values? What would happen if the total equity value of America's home net of outstanding mortgage finance turned negative? How can the US mortgage rate surpass the homeownership rate? Question #4: Why are Fannie Mae and HUD still using the same auditor? If the Bush Administration and the Office of Federal Housing Oversight believe that Fannie Mae's books have not been properly maintained, why do the Department of Housing and Urban Development (HUD) and other agencies of the US government use the same firm, KPMG, as an auditor and contractor? Question #5: Is partisan politics involved in the regulation of Fannie Mae? Fannie Mae has traditionally been viewed as a Democratic stronghold. The current CEO, Franklin Raines was the head of Office of Management and Budget (OMB) during the Clinton Administration. The prior CEO, Jim Johnson was equally involved in Democratic administrations and campaigns. "As Washington donnybrooks go, it doesn't get any bigger than this. The company, housing lender Fannie Mae, is the biggest in the region, with nearly $1 trillion in assets and gobs of outstanding debt held by pension funds and banks and even foreign central banks, all of which crave its implicit U.S. government guarantee. Its executive suite and board of directors are packed with the politically well connected, while its lobbying muscle is so formidable it has been able to fend off a concerted effort to rein in its growth and profitability by the White House, the Federal Reserve and the Republican leadership on Capitol Hill. But now Fannie is reeling. A stinging report issued by its once-obscure regulator, the Office of Federal Housing Enterprise Oversight, alleged that top Fannie executives manipulated accounts to inflate and smooth earnings in an effort to boost the stock price and earn big bonuses. The regulator accuses the company of having lax internal controls and insufficient capital to back up its massive financial risk-taking, while ignoring the warning of a whistle-blowing employee no longer on the payroll. The report, prepared by Deloitte & Touche and Stanley Sporkin, a longtime enforcement director at the Securities and Exchange Commission, has now prompted criminal and civil probes by the Justice Department and the SEC." Do recent actions by the Bush Administration regarding Fannie Mae relate to the current Presidential election and the role of the mortgage and homebuilding industry to campaign fund raising and manipulation of the mortgage markets? When viewed through the lens of "economic warfare," does the recent agreement negotiated between OFHEO and Fannie Mae give Republican interests extraordinary powers to micromanage Fannie Mae and members of the mortgage banking industry for political purposes? Question #6: Is Fannie Mae vulnerable to class action lawsuits? Question #1: Why did you lead the persecution of Hamilton Securities? You were for many years the presiding judge on the Ervin Qui Tam case – a case brought by Ervin, a Ginnie Mae contractor, against Hamilton Securities, the leading firm in Washington in helping to reengineer defaulted mortgages – having designed and led HUD's successful $10 billion mortgage auction program. Why did you extend the seal almost four years, without evidence of any wrong doing, and despite an FBI investigation report and HUD IG audit report finding that there was no evidence of wrong doing? Why did you permit the government to argue contradictory positions: arguing one position in the Bivens case brought by Ervin in open court; and a contradictory position in the Qui Tam case behind the seal? 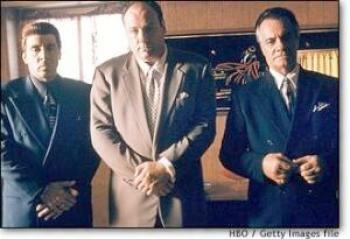 Why did you coach Ervin's attorneys from the bench behind the protection of the seal? Why are critical transcripts of the sealed hearings missing from the records? So, Where is the Collateral? Question #2: What role have you played in black budget market manipulation and $59 billion missing from HUD? As a federal judge overseeing the seizure of the Hamilton Securities computer files and software tools, including "Community Wizard" and extending a four year seal on a qui tam lawsuit targeting, you have played an instrumental role in destroying the regulatory financial controls in the 1990's that could have prevented much of the US mortgage market bubble and manipulations. How do you reconcile your role in creating the US mortgage bubble with your role in helping to bring "financial responsibility" to Fannie Mae? The persecution of Hamilton Securities and a series of HUD government officials caused a significant drain in critical leadership at HUD. Subsequently, HUD was not able to produce audited financial statements and reported significant undocumentable adjustments, including $17 billion in 1998 and $59 billion in 1999, along with significant increases in mortgage insurance. How would you describe your judicial role in contributing to this explosion of federal mortgage liability and implosion of federal mortgage financial and regulatory controls? Franklin Raines, the CEO of Fannie Mae, was the head of the Office of Management and Budget when these monies went missing from HUD. What was his role? How would you describe HUD's traditional performance in preventing money laundering in the US mortgage and homebuilding markets? Question #3: Why did you resign from the bench? You resigned at the same time that Hamilton's legal documents along with an overview of your management of the Hamilton qui tam and other litigation was launched on the Internet. Also at that time, your role in the alleged falsification of an affadavit related to the conviction of Edwin Paul Wilson attracted media attention (see Ed Wilson's Revenge, FTW 1/00). (This was well before October 2003, when Wilson's conviction was vacated and the Department of Justice announced an investigation into the matter. What if anything, did the Hamilton litigation, and litigation related to the Wilson conviction, have to do with your resignation from the bench? "The Biggest CIA Scandal in History Has Its Feet in the Starting Blocks in a Houston Court House"
You are the former General Counsel of the CIA and former head of the Securities and Exchange Enforcement Division, both under William Casey. 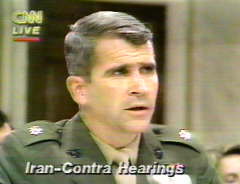 Question #1: Did you draft the DOJ-CIA Iran-Contra Memorandum of Understanding? You were the CIA General Counsel during the Iran Contra period, including at the time that the CIA entered into the now infamous Memorandum of Understanding with the Department of Justice that permitted the CIA to not report narcotics trafficking by CIA assets. This Memorandum of Understanding between the CIA and DOJ was published as part of the declassified two volume report by the CIA Inspector General confirming the “Dark Alliance” allegations regarding CIA complicit narcotics trafficking into South Central Los Angeles. 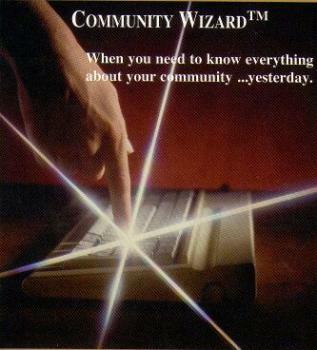 Question #2: Why did you suppress Community Wizard? In early March 1998, in your capacity as US Federal District Judge, you approved the court takeover of Hamilton Securities office, during which Hamilton's software tools and databases – including their Community Wizard system – were destroyed and/or seized by the court, and related decisions by you ensured that the Department of Justice was able to seize monies owed to Hamilton. 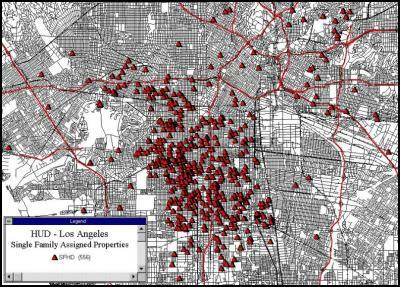 The databases, destroyed or removed from the Internet until many years later, included the maps of high defaults on HUD mortgages in areas targeted by alleged CIA narcotics trafficking, including South Central LA. The patterns shown in these maps demonstrate the characteristics of HUD fraud described in recent Soprano TV shows. theft, and extortion... fiction, or reality TV? While Hamilton was locked out of its offices and was overwhelmed by managing the workload related to an effort by government investigators to falsify "evidence" while controlling and trashing Hamilton's offices and systems, in hearings on Volume 1 on March 15th, 1998, CIA Inspector General Hitz disclosed the existence of this secret Memorandum of Understanding between the Bill Casey as CIA Director and then Reagan Attorney General William French-Smith. On October 8th, 1998, the declassified version of Volume II was made public one hour after the House of Representatives voted to conduct an impeachment inquiry on President Clinton and just before House members were compelled to cease all other activity to resolve the budget crisis. Subsequently, several people involved in the negotiations died unexpectedly (reference Snider Quits, paragraph 5). Question #3: What was your role with the Mena, Arkansas Iran Contra operation and local HUD agency? The Sporkin years at the CIA were also illuminated by numerous reports of arms and narcotics trafficking in Mena, Arkansas during Iran Contra and related money laundering through the state housing agency, the Arkansas Development Finance Agency. During this period, Vice President George H. W. Bush was in charge of all US enforcement and intelligence operations through the National Security Council, Oliver North was at the NSC and President Bill Clinton was the Governor of Arkansas, and Senator Hillary Clinton was a partner in a law firm that served Arkansas Development Finance Authority, alleged to have laundered the state share of the profits. Question #4: Is "Slimey Affirm" a code name you used in an off shore account? In his book Defrauding America, Rodney Stich describes allegations regarding your code name, "Slimey Affirm," for off shore accounts maintaind in connection with Nugen Hand Bank. What has been your practice of maintaining off shore accounts throughout your government and judicial career? Question #5: Do you shut down honest businesses to protect government crime and narcotics trafficking? The Hamilton Securities maps of South Central LA were made by a start-up data servicing company in a low income residential Washington, DC community -- Edgewood Technology Services. Was the bipartisan rejection of Hamilton and Edgewood, and Catherine Austin Fitts' model of building community databanks (such as Community Wizard) and venture capital related to government dependence on narcotics trafficking and money laundering? Question #1: Are US enforcement efforts designed to prevent or promote money laundering? During your rise to prominence, the US leadership of global money laundering has grown to an estimated $500 billion - $1 trillion a year. Would you say that US enforcement efforts are designed to prevent or promote "dirty money" flows? 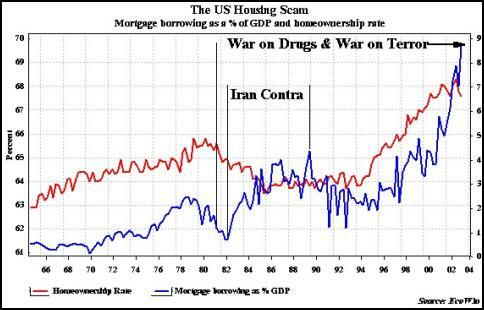 Question #2: Is National Security Law used to fraudulently over-issue mortgage securities to fund the "black budget"? What are the criminal and civil violations involved if a government agency, private corporation and or state housing agency were to over-issue mortgage backed securities or housing bonds reflecting more in financial capital than existed in actual mortgages or homes? Could such violations be overridden by the National Security Act of 1947 and the CIA Act of 1949, which make special provisions for unusual financing arrangements to fund the black budget? Judge Sporkin joined Weil, Gotshal & Manges as a partner. Weil Gotshal is considered one of the leading bankruptcy law firms in the US. Weil Gotshal is the lead bankruptcy counsel to Enron, whose financial managers have been indicted for money laundering. Weil Gotshal’s website and “Who’s Who in America” provide the following information. 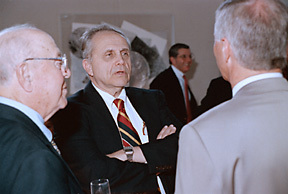 Judge Stanley Sporkin (Ret.) is a Partner at Weil, Gotshal & Manges residing in its Washington, D.C. office. Judge Sporkin's practice consists of counseling parties in SEC, Corporate Governance and Litigation Matters. Because of his judicial background, he also acts as an arbitrator and provides mediation services. Judge Stanley Sporkin was born in Philadelphia in 1932, attended Pennsylvania State University from 1949-1953 and received his law degree from Yale University in 1957. Bar: Del, 1958, Pa. 1958, U.S. Dist. Ct. DC 1963, US Supreme Ct. 1964, US Cot Appeals (2nd cir.) 1975, U.S. Ct. Appeals (4th cir.) 1978. Law clerk to presiding justice U.S. District Court, Del., 1957-60 then twenty years with the SEC serving the last seven as the Director of the Division of Enforcement: 1960-61 staff atty, spl. study securities markets U. S. Securities & Exchange Commission, 1961-63, atty., 1963, chief atty. Enforcement branch, 1963-66, chief enforcement attorney, 1966, ast. Dir., 1967, assoc. dir., 1968-72, Deputy Director – Trading and Markets, 1972-73, Director Enforcement Division, 1973-81. He then went to the CIA from 1981-86 where he as the General Counsel. In 1985, President Ronald Reagan appointed him to the Federal Bench where he served as a United States District Judge for the District of Columbia for 14 years. Judge Sporkin is also a Certified Public Accountant. Judge Sporkin is the son of The Honorable Maurice W. Sporkin (deceased), a long time Judge of the Court of Common Pleas, Philadelphia, Pennsylvania, and Ethel Sporkin (deceased). He is married to Judith Sally Imber (married September 30, 1955) and has three children: Elizabeth Michael Sporkin, Daniel Paul Sporkin, and Thomas Abraham Sporkin; and two grandchildren. Board of Advisors, Wall Street Management & Capital Inc. 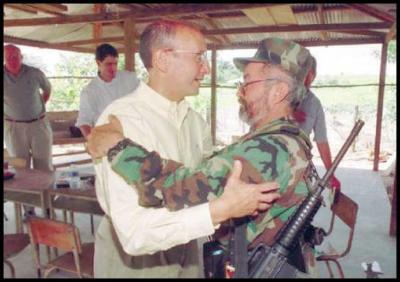 Cocaine Politics: Drugs, Armies, and the CIA in Central America, Peter Dale Scott & Jonathan Marshall. Berkeley: University of California Press, 1998. False Profits: The Inside Story of BCCI, the World's Most Corrupt Financial Empire, Peter Truell & Larry Gurwin. Boston: Houghton Mifflin Company, 1992. The Politics of Heroin: CIA Complicity in the Global Drug Trade, Alfred W. McCoy Lawrence Hill Books, 1991.